We are situated at Herons Farm, near Coggeshall in Essex, where my family has farmed since the 1930s. In all that time, we’ve been rearing poultry in the way people want — by traditional methods. We are very proud to have won the prestigious title of ‘Essex Life Farm Shop of the Year’ in 2011, 2013, 2014 and 2015 we were also highly commended in 2012. 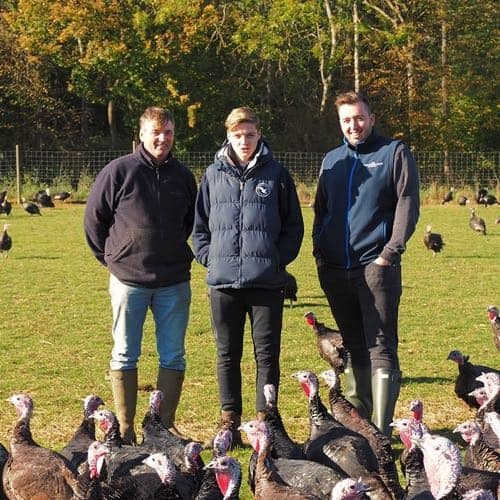 For many years we have concentrated on traditional farm fresh geese and turkeys for the Christmas market. In 2004 we set up the Rare Breed Meat Company to service leading butchers and food halls who directly seek high quality locally produced meat for which we could provide full provenance back to the source. On behalf of all the team, I look forward to welcoming you to Herons Farm in the very near future.